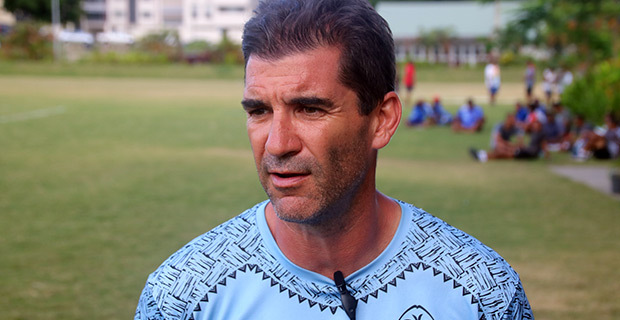 Fiji Airways Men’s National 7s Team Coach, Gareth Baber says this weekend is about remaining vigilant, sticking to their plans and not getting blinded by distraction or fatigue. While speaking from Singapore, Baber says he is pleased that there are no major injuries in the team. Baber adds that he will also make sure he manages his players’ game time well as last weekend some players played extra minutes. Baber adds the team sticks to the humility that is in the David and Goliath story in the Bible. Fiji face Canada in their first pool match of the Singapore 7s at 4.36pm Saturday, they take on Scotland at 8.02pm Saturday and face South Africa at 11.28pm Saturday in their final pool match.